The Vikings have long ago invaded the coasts of pop culture on their dragon-headed longships and carved out their own Danelaw in the realm of video games. In recent years, they’ve grown even bolder, taking over most genres from RTS to RPG, classic point and click adventure to action, with an utter disregard towards distinctions between AAA and indie. They’ve settled in Hellblade and Frostrune, Dead in Vinland and The Witcher 3, God of War and Crusader Kings 2, and of course, The Banner Saga trilogy. Luckily, it’s easy to spot a Viking. Horned helmets, mead-filled drinking horns, bloody battle axes and grim miens are a dead giveaway. When in doubt, tempt the suspected Viking with loot, then wait and see whether or not they can resist the urge to pillage. Because of their instantly recognisable iconography, Vikings tend to be caricatured. Often, they are shown as barbaric brutes. In the animated film The Secret of Kells, Viking raiders are quite literally demonised as cruel, greedy monsters that can barely speak, let alone appreciate the fine art of manuscript illumination; a carry-over from the dread they inspired during the Viking Age (roughly 700-1100 AD), spilling over into the modern one. Just as often and even more problematically, they are romanticised and mythologised along the lines of the “noble savage” trope; a process that has its roots in the “völkisch” movements of the 19th century, spawning the esoteric and pseudo-scientific thought which would become fertile soil for the nonsensical yet murderous racial fantasies of the Nazis. Simply put, the way we think about and portray Vikings tells us as much about ourselves as about them. Biased creatures that we are, we pick out those aspects of Viking culture that appeal to us and reshape them to serve our own ideologies and aesthetics. Meanwhile, whatever doesn’t fit into that picture is excluded or pushed to the margins. For better and for worse, the same is true for games. The stories of Norsemen that survived into the present already have their own built-in biases, revolving mainly around heroism, violence and grand deeds. There’s the travels to America and Greenland almost 500 years before Columbus dared dip his big toe into the Atlantic; the conquest and founding of kingdoms in Great Britain, Russia, the Normandy and Sicily, as well as the role they played in the Byzantine emperor’s Varangian Guard. And of course there are their own stories, the grim and bloody Sagas and myths. Look at these stories, and you can almost smell the promise of heroic adventures (also, probably, unwashed beards). 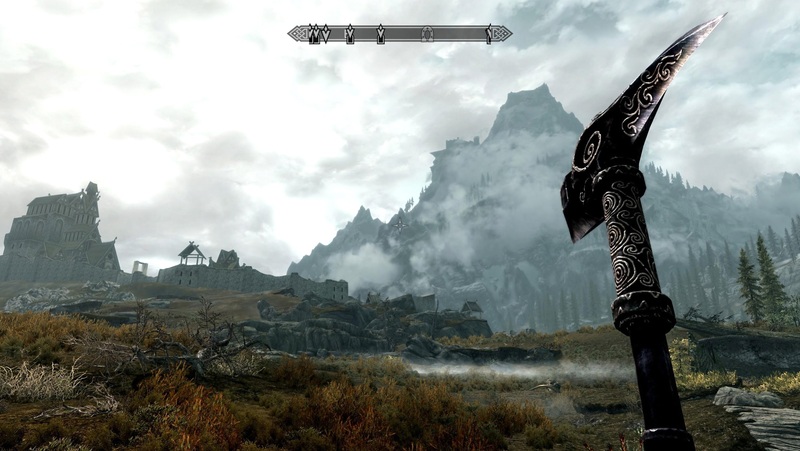 Video games have done their best to fulfil this promise in their Viking fantasies, from Rune, to Skyrim, to God of War; usually, the thrill of battle and prodigious bloodshed is part of that deal. Embodying our Viking avatars, we discover, dominate, loot and conquer to our heart’s content. 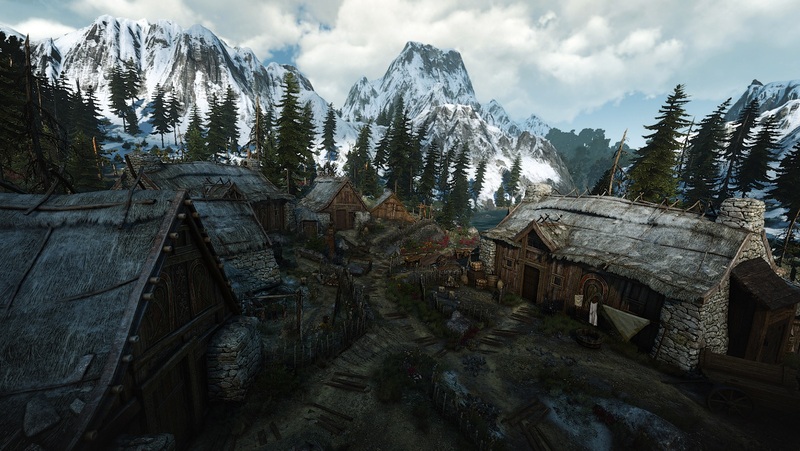 Some of these fantasies are more nuanced than others; the Norse-inspired island Skellige of The Witcher 3 is as wild and cruel as it is gorgeous, a place where the grim “realism” of modern fantasy and romantic idealisation go hand in hand. Sure enough, adventures and battles feature prominently in Norse stories such as the 13th century Icelandic Njáls Saga. Time and again, its characters engage in Viking raids and revenge killings, lopping off heads and limbs left and right, winning both renown and infamy in the process. So far, this mirrors our usual experiences as virtual Vikings. What we rarely have to deal with, however, are the repercussions of that violence. Killings in the Sagas are often punctuated by detailed legal proceedings which determine compensation; that is, how much money the kin of the slain are owed by their killer(s). It was a system designed to prevent a vicious cycle of revenge killings. Needless to say, it rarely worked (in the Sagas, at least). Still, coming out on top in a case judged at the Althing could win as much renown as engaging in valiant bloodshed. This aspect is lost in games like, for example, Skryim. If you had to enter arbitration every time you killed anyone it would slow everything down a bit. Just as other Germanic stories such as the Old English Beowulf or the Middle High German Nibelungenlied, Njáls Saga’s attitude towards violence is deeply ambivalent and less simplistic than most games suggest. Its heroes are proud warriors admired for their prowess in battle, and yet every victory they win embroils them deeper in an escalating spiral of violence that has its own inescapable momentum. One massacre leads to another, until the heroes themselves meet their own tragic end. They are melancholy and fatalistic affairs. 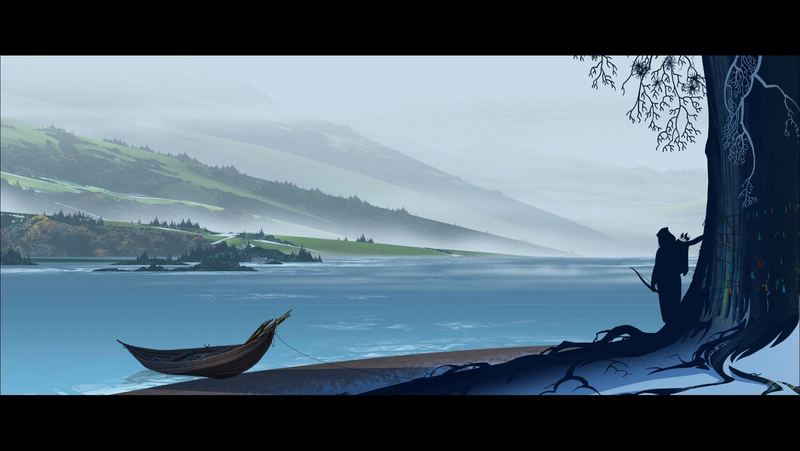 The Banner Saga trilogy is a rare example of Norse-inspired games that try to capture some of that same melancholy. Even though we can influence the course of events, death is a given. The Banner Saga’s stance towards violence is conflicted: at its core are satisfying tactical battles in which each killed enemy brings valuable Renown. And yet, its protagonists are mostly shown as reluctant killers who try their best to prevent unnecessary bloodshed. It’s a mournful experience, the end of the world always looming on the horizon. Hellblade, too, emphasises the darker side of violence, but in an entirely different way. Senua’s battle against her own mental illness is heroic precisely because it is a tragic and desperate struggle against her own demons. 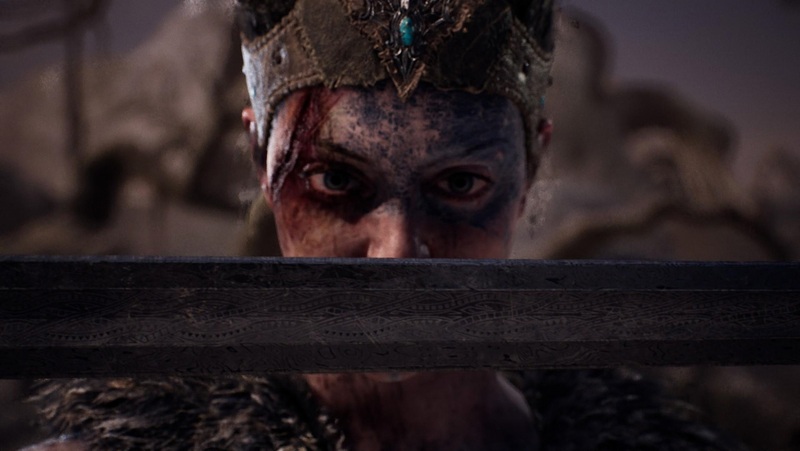 Here, the mythic world of the Vikings as perceived through Senua’s psychosis appears as a grim and cruel place marked by the remains of massacres and executions; the bloody aspects of Norse myth and culture are a lens through which Senua makes sense of her suffering, which in turn is mythologised. Just like violence, gender isn’t a straightforward issue in Norse stories. The roles women play in Norse stories have just as many facets, and different people take away different lessons, some of them more distasteful than others. Many modern Viking narratives, including games, revel in a reactionary, proto-fascist glorification of masculinity. (I hope for your sake you’ll never have to lay eyes on the web guide explaining what Beowulf can teach us about being ‘real men’ in today’s ‘effeminate’ world.) Others find inspiration in stories about Valkyries and shield-maidens, or archaeological evidence of female warriors to create an egalitarian Viking world defined by strong, independent women. 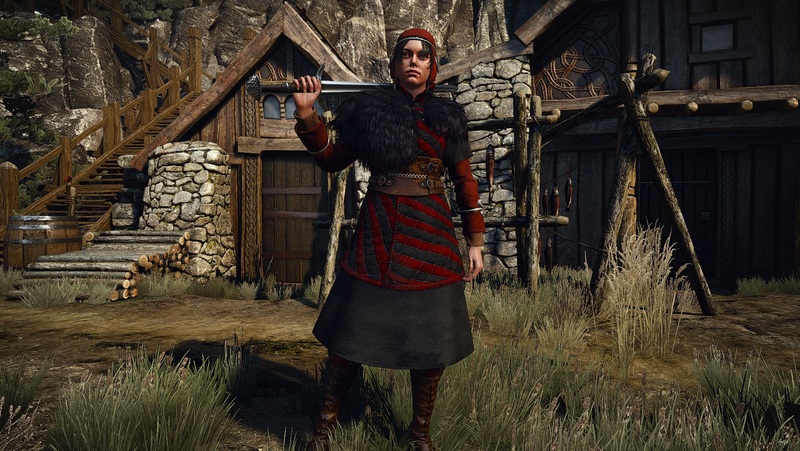 Warlike women have found their way into quite a few Norse-themed games, such as Senua in Hellblade, Cerys an Craite in The Witcher 3, or Alette in The Banner Saga. Norse literature often features headstrong women who, despite not being the heroes of the story, still very much influence the course of events. There’s the fierce warrior queen Brynhild of the Völsunga Saga and the Nibelungenlied, or the devious Hallgerður from Njáls Saga, whose callousness is only matched by her wonderfully contemptuous attitude and emasculating wit, and who could give Lady Macbeth a run for her money. Both are the cause of feuds and great misfortunes, leading to the death of heroes (in Hallgerður’s case, that of her own husband Gunnar). Is the portrayal of these strong, cruel women surprisingly emancipatory or deeply misogynist? A bit of both, perhaps. Again, The Banner Saga must be commended for side-stepping obvious caricatures or clichés. Its female heroes are neither larger-than-life warrior princesses, nor manipulative, spiteful Hallgerðurs, nor glaring absences or inconsequential side characters in a male-dominated dramatis personae. They’re simply people, trying their best to survive and protect their companions in a harsh world. Of course, The Banner Saga isn’t “historically accurate,” whatever that could possibly mean in this context. It’s a vivid mash-up of various elements from myth and stories both ancient and modern. Every game that seeks to create an interpretation of the Viking past must engage in cherry-picking, plundering from the treasure hoard of tropes only what they need, and burning down the rest. We choose exciting battles over lengthy court cases, or compelling female protagonists over outdated misogyny. The deeds and stories of Norse(wo)men still resonate to the present day, but they are constantly reshaped to fit our current tastes. Some of these reinterpretations are as flat as a Viking’s shield, others as rich as a horn-full of mead. Luckily, with games like The Banner Saga or Hellblade, we’ve had plenty of the latter.